Polarisation of the Software Labour Force? The modern business world is undergoing digitalisation in fast pace and, therefore, more jobs are born in the field of information and communication technology (ICT). Only in Finland, one of the leading countries in digitalisation, there is an estimated need for 7,000–15,000 software professionals while the demand for skilled labour is growing every year. The skill set required from professionals is also changing and different skills are needed in the future. ICT companies are facing problems of finding highly skilled professionals to ensure their rapid growth and new innovations. At the same time, when companies are fighting for the talents, there are ICT professionals unemployed. Offered and requested skills are not meeting in the ICT industry, which can lead to bigger problems in the eyes of workers and companies. 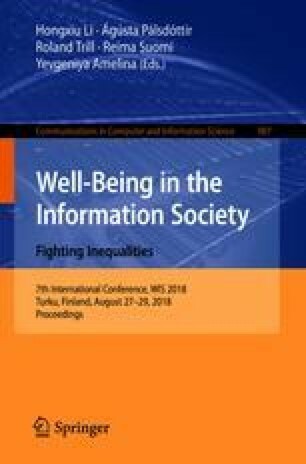 This study focuses on the skill polarisation between software professionals at the war of talents by using data collected with a survey (n = 90) to software businesses. The results reveal some signs of ongoing skill polarisation in the field and its possible impacts are discussed. The authors wish to thanks Managing Director Rasmus Roiha and Finnish Software Industry & Entrepreneurs Association for sharing the dataset used in this study.